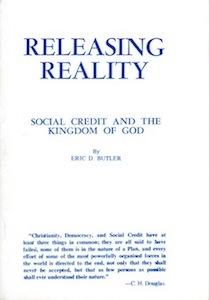 C. H. Douglas devoted considerable attention to stressing that genuine Christianity, Democracy and Social Credit were all concerned with ensuring that individuals had effective control over their own lives and accepted ‘personal’ responsibility for how they used power. Christianity has struggled for nearly two thousand years to free itself from that Talmudic influence which Christ so strongly attacked. Christianity’s alleged failure is that of individuals who failed to grasp the message of real freedom, which Christ brought and to take Christ’s advice.